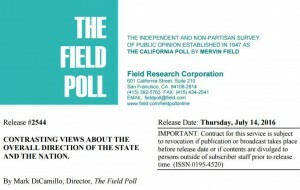 The sudden death of the Field Poll, announced Friday, marks a terrible loss for public opinion research in California. It wasn’t perfect, when the late great Mervin Field ran it or after, under our friend and colleague Mark DiCamillo. But it was scientific, non-partisan, transparent and reliably accurate. The alternatives remaining – Public Policy Institute of California and the Los Angeles Times/USC polls – have their strengths and weaknesses as well. But neither of them has the long history of elegant dependability that the Field Poll provided since 1947. Havas, the French communications and advertising agency that bought up the British company that Merv sold to years ago, decided that Field Research Corp. didn’t fit into its strategic game plan. It was just a cold, calculated business decision, we’re told. FRC has some work continuing into 2017, but the Field Poll is being retired. Unquestioned integrity. 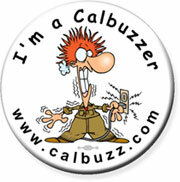 Calbuzz has been both a fan and a critic of the Field Poll over the years. Even when we were black-balled from becoming a subscriber by the poll’s most important media client – the Sacramento Bee – we never wavered in our belief that the polling operation itself sought to adhere to the highest principles of survey research. Even when we questioned some of their recent methods. 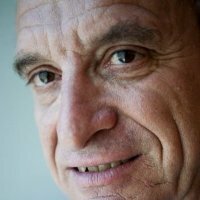 PPIC, under Mark Baldassare, still relies on random digit dialing for its political polling which risks misidentifying actual voters. The LAT/Dornsife poll – when it’s not using an online panel – often performs well but seems less consistent in modeling the electorate and gives its results to the Times before anyone else. What this means for political reporting is a loss of the most consistent non-partisan tool available for measuring support for potential contenders, declared candidates, current office holders, ballot measures and public opinion on a range of issues from abortion rights and immigration to offshore oil-drilling and the death penalty. In an era when pollsters are mistrusted by some portion of the public, the Field Poll stood proudly as a beacon of independence and integrity. The poll made mistakes – as when it predicted Tom?Bradley would beat George Deukmejian to win the governor’s race in 1982 because it failed to account for absentee ballots (a mistake never repeated) – but it admitted them and adapted to new realities. Moving from random digit dialing to random sampling of the official voter file a few years ago was one of those changes. 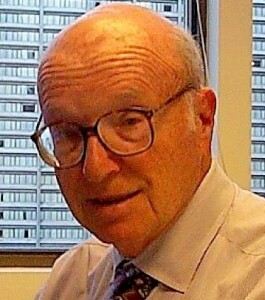 As House Minority Leader Nancy Pelosi noted in our tribute to Merv Field on the occasion of his 93rd birthday a few years ago, “Californians understand our state, our communities, and our political issues and leadership better thanks to Merv Field.” And, of course, the Field Poll. Buy the brand. ?We have no idea how one would put a price tag on the Field Poll. It was not a big money-maker for Field Research Corp. as its media clients fell away or paid less and less over the years for access. But perhaps it could be valued and purchased by a civic-minded millionaire philanthropist – Tom Steyer, take note – or by the University of California – Jerry Brown, a budget item? – which houses the poll’s archives at UC Berkeley already. Whether DiCamillo would stay on to manage the poll or train someone to take over, we haven’t a clue. But it would be worth it for California not to lose this valuable resource. P.S. Speaking of accuracy, as Calbuzz has noted before, the national polls of the 2016 presidential race that predicted the popular vote were – with some exceptions like the Los Angeles Times/USC survey – were remarkably accurate as a study that included our friends Mike Traugott and Courtney Kennedy found.